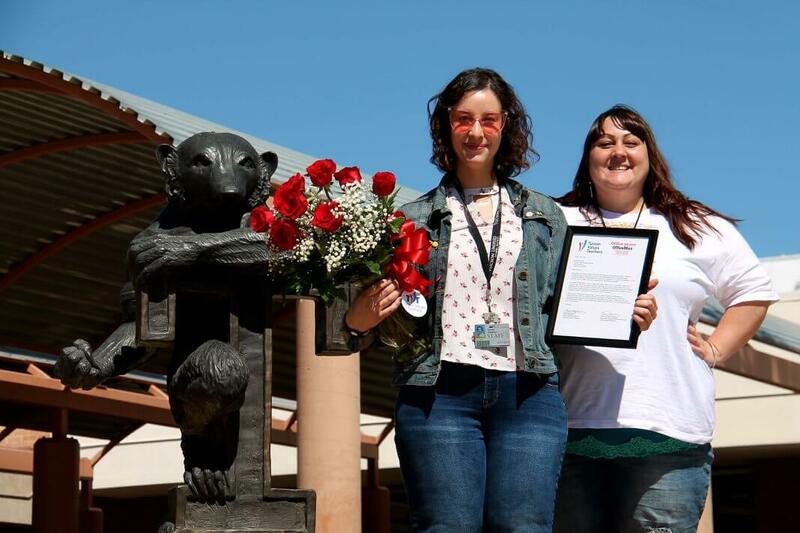 Ms. Levey–a 2D art teacher at Tucson High Magnet School in Tucson Unified School District–received the March 2018 Teacher Excellence Award! She received flowers and a plaque from TVT, and school supplies along with a $100 gift card from Office Depot/OfficeMax! She also received $250 cash courtesy of Tucson Electric Power and Helios Education Foundation. Still relatively new to the profession, Ms. Levey credits much of her success this year to her mentor and fellow art teacher, Andrea Burk. Copyright © 2019 Tucson Values Teachers All rights reserved. Copyright © 2019 Tucson Values Teachers . All rights reserved. 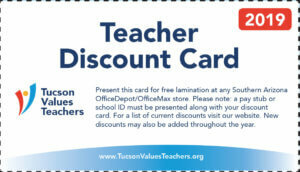 The 2019 Teacher Discount Card is now available. Sign up today to start saving at more than 80 local businesses!